Hukwe Zawose erhielt 2002 mit dem ZEWE Award Tansania den höchsten Kulturpreis Tansanias für sein künstlerisches Schaffen. 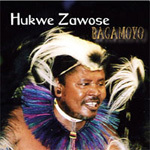 Hukwe Ubi Zawose played an outstanding role in traditional Tanzanian music and in the country‘s National Ensemble, the Bagamoyo Players. He was one of the best-known African traditional musicians. For many years, his concert tours led him to all continent of the world. His records were released in Britain, Japan, France and in the United States. He gained special recognition through involvement in the global music project „One World-One Voice“ and through his co-operation with worldwide star Peter Gabriel, with whom he shared a stage on a tour of the USA. For his exceptional musical talents he received an honorary doctorate from the University of Helsinki in 1998. 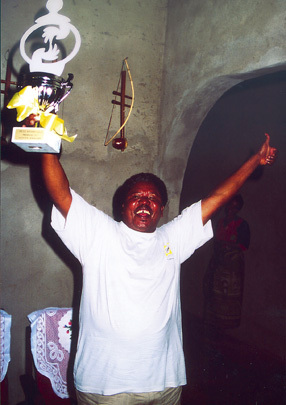 In 2002 he was honoured for his lifework with the „Zeze Award“, the highest Tanzanian cultural award. 9 Tracks / 45:13 Min. 17.- Euro + 3.-Euro Versandkosten in Deutschland, 5.- Euro ins Ausland inklusive 19% Mehrwertsteuer.